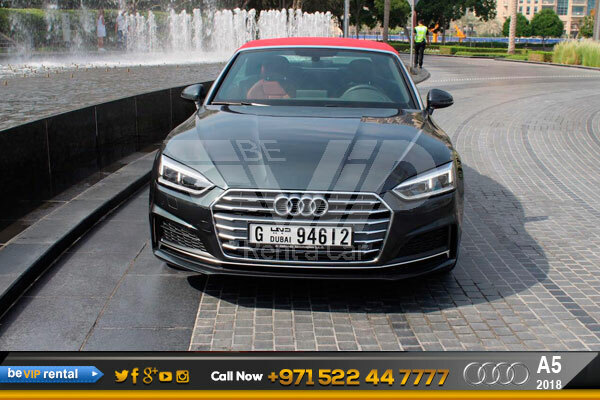 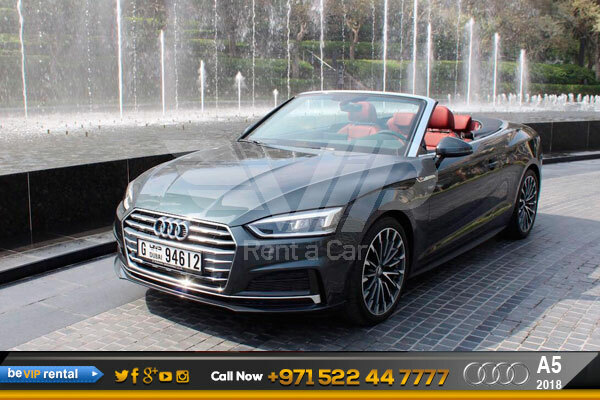 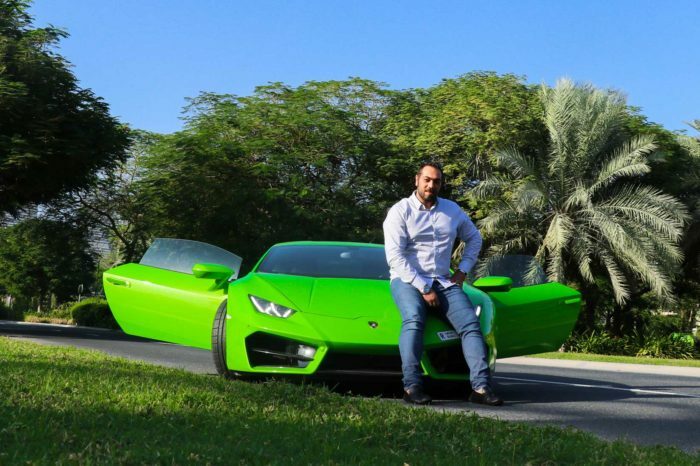 Now available for rent from Be VIP Luxury car rental in Dubai the Audi a5 convertible 2018, The 2018 Audi A5 Cabriolet features a design line that reveals details unconstrained by convention. 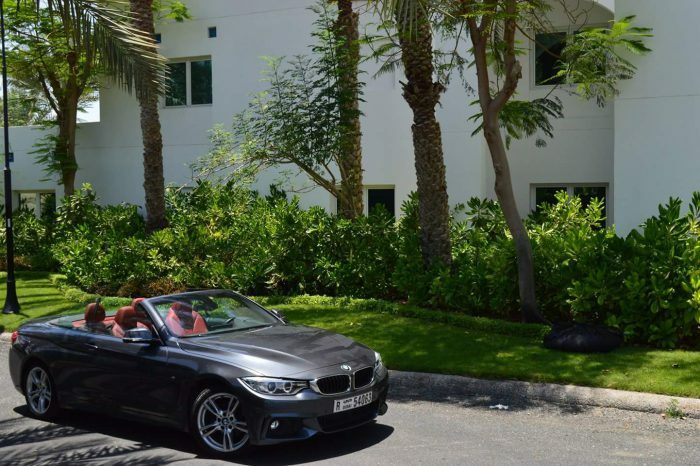 The acoustic folding roof helps absorb unwanted noise and can be raised at up to 31 mph, letting you keep your hands on the wheel and the wind in your hair. 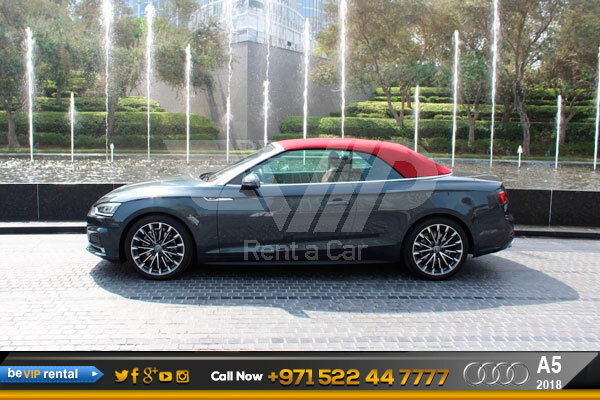 Top up or down, the Audi A5 Cabriolet is never short of character. 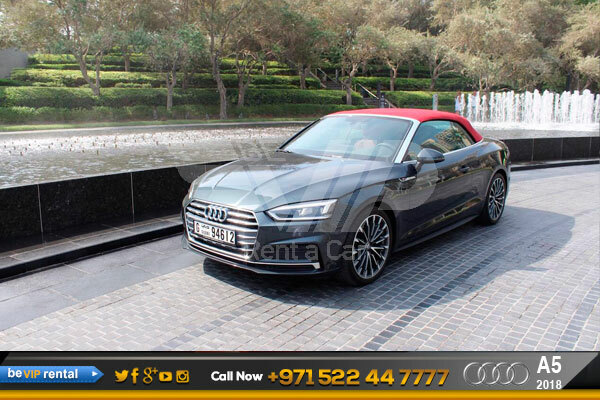 The design of the 2018 Audi A5 Cabriolet for rent in Dubai is unlike any other convertible. 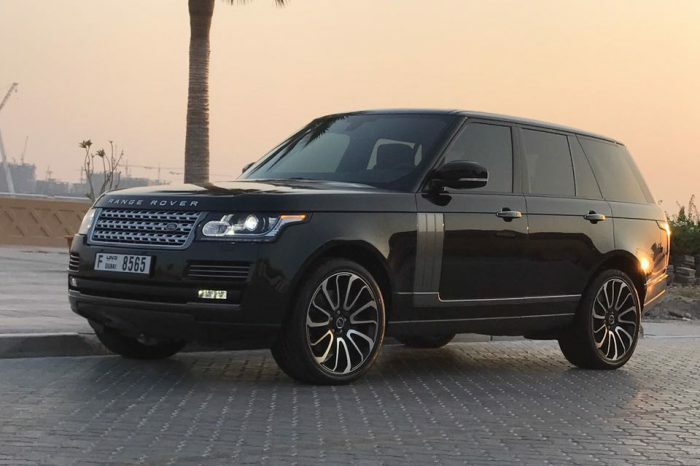 A wide stance and wave-design Shoulder line wraps details like the signature aluminum accents on the windshield grille into an eye-catching package that looks good rain or shine.